The year is 2128, and humanity has achieved the dream of settling on Mars. Rubicon, a scientific settlement, has survived from the exciting first days to the humdrum of everyday life in a scientific community, managing to move along despite decreasing support from Earth. They exist under a strict regime that promotes work and survival, and punishes personal relationships as a distraction from their mission of survival on the red planet. Things are strict but good, until a problem with the water supply reveals a virus that causes an outbreak threatening their survival. As the residents of Rubicon frantically search for a cure, Earth removes its support of the mission on Mars, deeming it a failure and scuttling the mission. When evidence of sabotage emerges, the people of Rubicon know they have two choices: surrender to their fate, or fight for the only home they know. 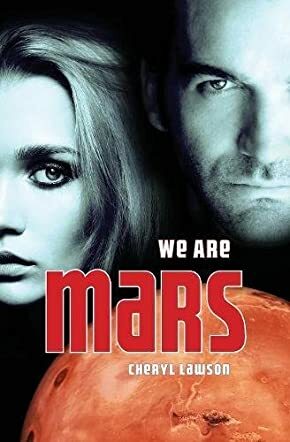 We Are Mars by Cheryl Lawson is a thrilling ride that will keep you breathless to the end. We Are Mars is a good, solid science fiction novel with all of the elements that make for a great read: action, adventure, excitement, duplicity, complex relationships, and even some romance thrown in. I particularly liked how the relationships amongst the characters developed and changed, demonstrating how circumstances can be a powerful force to bring people together, or drive them apart. The relationships amongst protagonists Dana, Jax, Chuck, and Lenny are reflections of the power of survival, friendship, and forgiveness. Cheryl Lawson also handles the science of life on Mars well and solidly, helping the reader to experience and 'feel' how it would be to live on the next planet from the sun. This is a great read, and I highly recommend it!